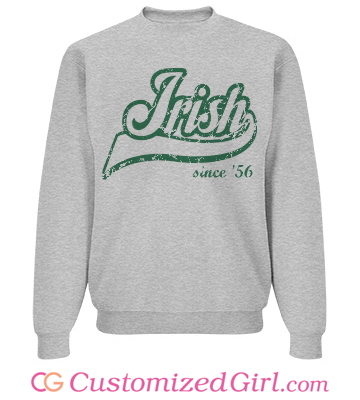 This month’s Label Rebel customized cheerleading sweatshirts for her new cheer squad. 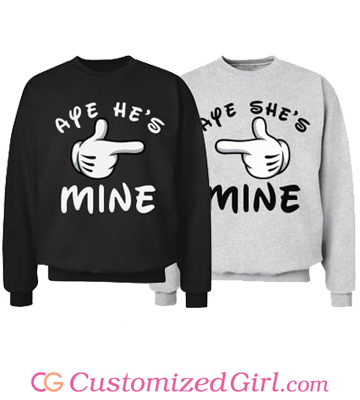 Happy with the quality of Customized Girl’s printing the previous year, Amanda chose to have another year’s sweatshirts printed with us again! 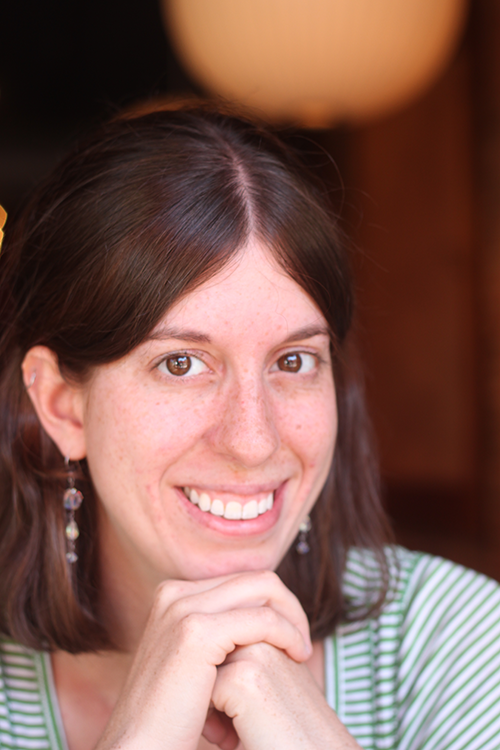 “We were really happy with our items! We had a small glitch in one of the bags but with a quick picture and explanation of the broken zipper your team quickly shipped off a replacement personalized bag. It was amazing! 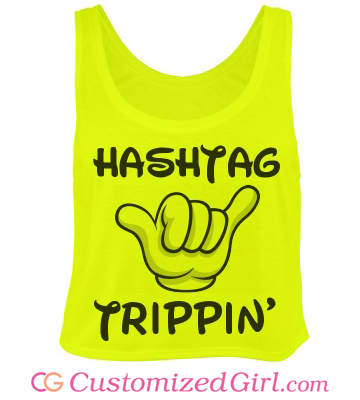 We get a lot of orders for custom cheerleading shirts and apparel and we’re always happy to print them! 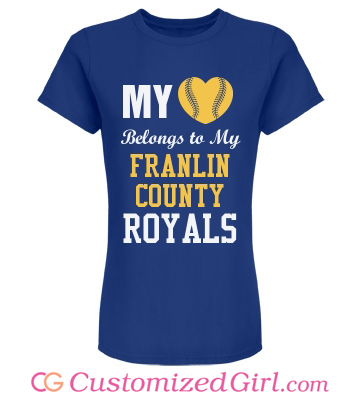 Have you used Customized Girl for your team’s new sweats, tees, or uniforms? 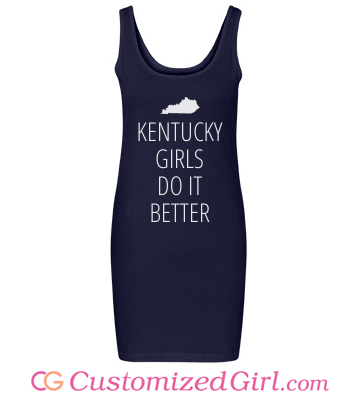 Send us your photos to customizedgirl@eretailing.com or share them with us on Facebook, Twitter or Instagram! Earth Day is recognized on April 22 every year in countries all around the world. Today is the day that we make a little extra effort to reduce, reuse, and recycle and think consciously about our planet and the natural resources we use from it. We encourage you to use today to make the planet a little greener! Plant a tree. Pick up trash in a nearby park or along your street. Finally get those extra bins and start recycling! 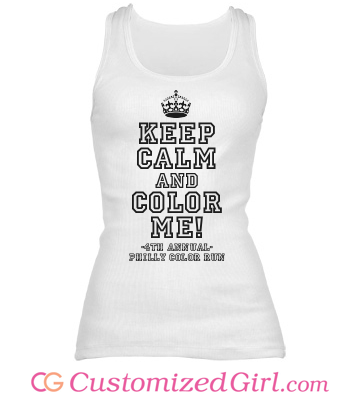 Customized Girl can help you make greener decisions every day with our water bottles and canvas tote bags! Customize a water bottle and reduce your use of plastic cups and bottles. Plastic, disposable water bottles are harmful for the environment because of the resources used to make the plastic and the oil burned in the miles and miles of transportation that carry the bottles from production to your hand. These water bottles come close to never decomposing, instead sitting in piles of waste for years. Using a refillable, washable, customized water bottle to cut down on your use of plastic is an easy and responsible way to help keep our Earth clean! Design a canvas tote bag for your groceries and more! Toting your own reusable grocery bag is another simple way to cut back on your use of plastic. Much like plastic water bottles, plastic grocery bags use a lot of natural resources to produce and transport. 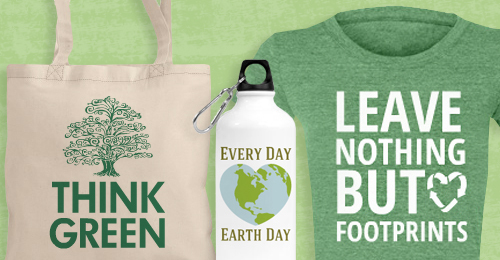 Make a difference every time you shop by bringing your own reusable and customized tote bag! 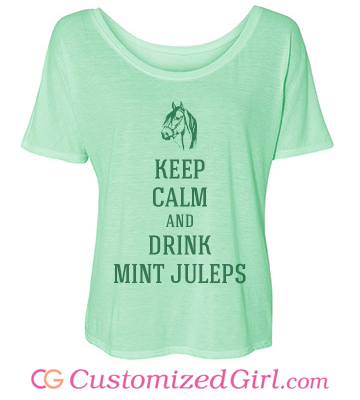 Sound the trumpets and mix the Juleps, the Kentucky Derby is almost here! May brings more than just flowers to Louisville, Kentucky. Kentucky Derby fans from all over dress up and get ready to watch the famous horse race the first weekend of May every year. The spirit of this Southern tradition carries itself as well as the Southern Belles in attendance. The Kentucky Derby and its traditions have inspired fans from all over to recreate the atmosphere of the race at their own Kentucky Derby themed parties. The popularity of these parties has spread in recent years thanks to the fun, over-the-top dress code and savoriness of southern dishes and Mint Juleps. 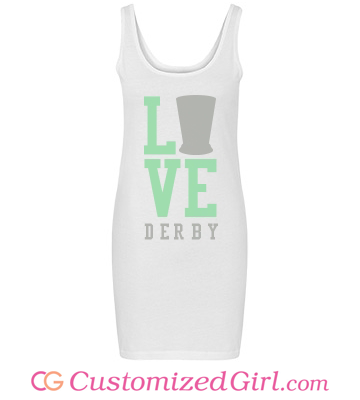 Throw your own Kentucky Derby themed party this year with all the fixin’s! 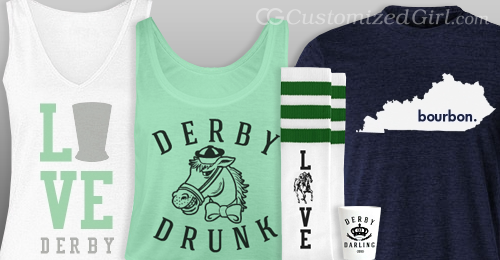 Customize a Kentucky Derby shirt with Customized Girl, grab the brightest, biggest hat you can find, find a recipe for those Mint Juleps, and it’ll be just like sittin’ in the stands at the Downs! 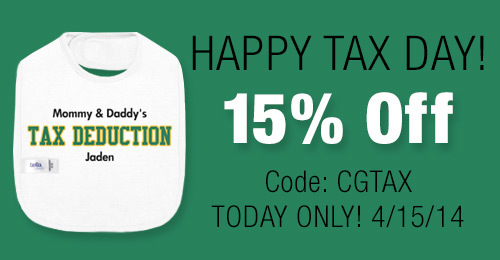 Take 15% Off Your Tax Day Order! It’s April 15th and it’s Tax Day. 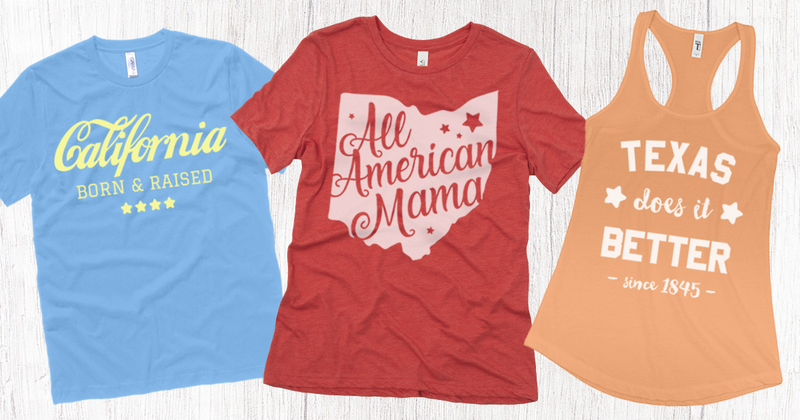 We want to help make the day a little brighter by offering you a special discount of 15% off your order of custom apparel! 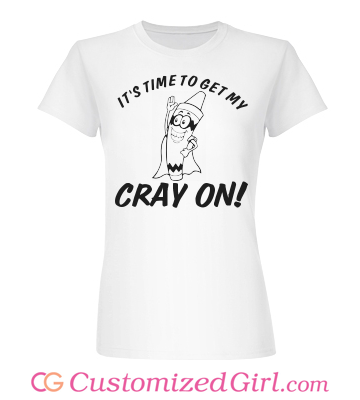 Use coupon code CGTAX at checkout and get 15% off your order! Offer expires 4/15/2014 at 11:59PM EST. The Relationship Status of our Facebook fans? 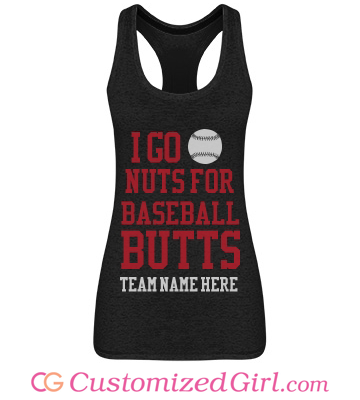 It would seem a lot of you are dating a baseball player. 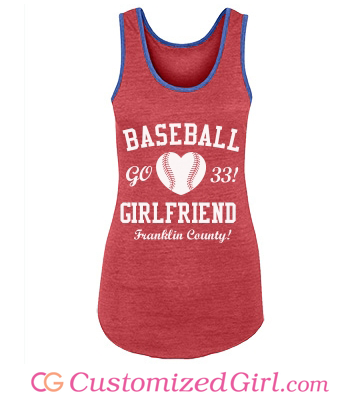 You loved our Baseball Girlfriend designs! 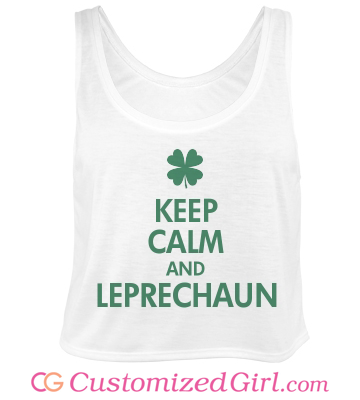 Our Tumblr followers were all about our St. Patrick’s Day designs last month. 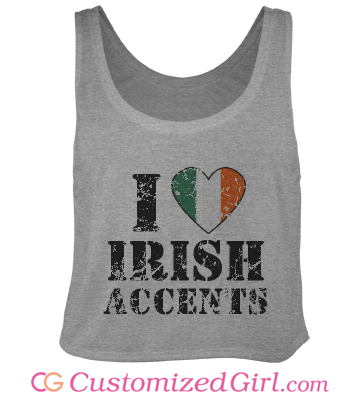 Don’t forget to send us any photos of your Customized Girl St. Patrick’s Day shirts to CustomizedGirl@eretailng.com! 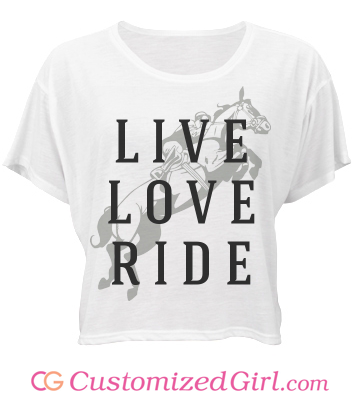 PS- get ready for the next party with a custom Cinco de Mayo shirt! Our Pinterest followers must love to run- and have some fun with it! 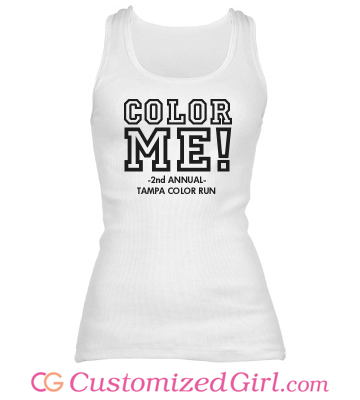 Our custom color run tank top was a hit across fitspo boards! 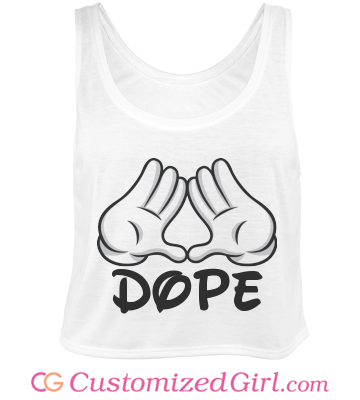 Our fashion forward Polyvore followers were all about the Dope Crop Top featuring our trendy cartoon glove hand designs. We love the sets you’ve created with this top!